Technology has been a big transformational component of the fitness industry. 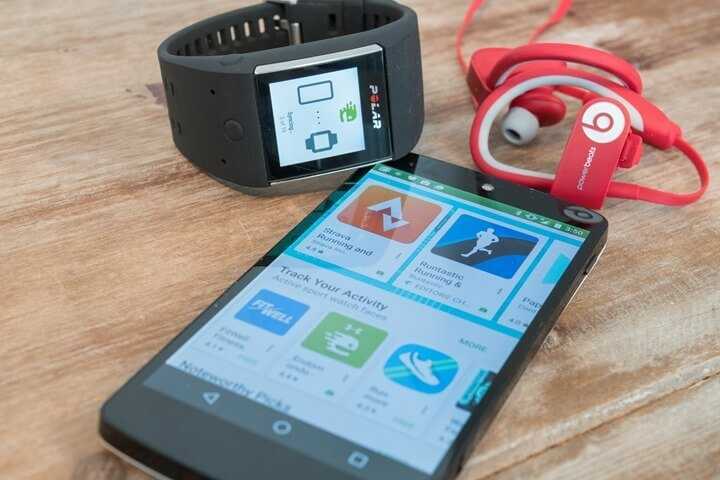 There are a number of different devices and programs that help improve our fitness and health tracking activities. Technology has influenced every part our lives in the past few years. It is part parcel of every activity and process that we carry out in our daily lives. Whether we talk about our professional working environments or our personal daily lives, technology and its related devices has been influential in every aspect of the world. It has not just enhanced the productivity of the human civilization but it has also created some breakthroughs in problem-solving and enhancing the effectiveness of human efforts. Like all other activities of the human world, technology has a great role to play in order to improve human health and well-being. With revolutionary inventions and discoveries in the medical world, technology has helped improved human lives in a great way. But this advantage is not just related to the medical field or the doctors only. Technological influence has transformed the fitness industry at a more personal level as well. With a large number of devices and gadgets, people are now able to keep a track of their own fitness routines and vital statistics. Many apps and devices allow us to gauge our capabilities and activities and even provide a comparison with others including friend and celebrities. These tech devices also provide suggestions and workout plans to make life much more effective and efficient. As a consequence of all the awareness and feedback, the users remain motivated and encouraged to work out more. There are a number of devices, gadgets, and programs that are now available to the people at large and at affordable rates. You can choose from a variety of options and choices available in the market. All of these tech devices allow us to track health and fitness easily and conveniently. The simplest yet effective manner used in the fitness industry widely is the pedometer. It allows a user to track the number of steps he or she has taken through its use. It is an accurate and hassle-free method for counting your steps and keeping a watch on the activity that you might have undergone throughout the day. Their similar devices for cycling and jumping also available. Although the pedometer is also an activity tracker it is much simpler and restricted today the market holds a number of other types of activity trackers that are not just limited to counting steps but also a number of other activities. Users are able to track their exercise routines remain up to date. These types of trackers not only monitor the exercise activity but also health-related activities like sleeping durations, eating routines and working hours. It is a great way to monitor your entire day’s work out without having to spend any special effort on maintaining records. Through feedback, you can incorporate better and more health improving activities into your daily routine. These are not just simple activity tracking devices but monitor the human body at a much more detailed level. Wearing this band allows the user to get information on fitness issues like lean muscle and fat ratios which allow you to focus more on toning your body then just recording statistics. These types of devices can be worn at all times and help gauge the human body’s vital statistics like heart rates, blood pressure, and pulse. They are good for those who want to watch out for their health while they exercise or workout. There are devices in the fitness industry that help users track their routes and location through GPS technology. While you are jogging or running the device help you navigate through routes and never get worried about losing your way. They also monitor distances covered and heights climbed. Working out with some great music has always been a delight for everyone. There are a number of fitness gadgets that can carry a large number of songs to help you monitor your activities and well as keep you motivated in a good mood. There are a large number of apps and programs that can be installed on your smart devices and that help boost the effectiveness of your own fitness devices. All types of devices and gadgets can be synced with your smartphones and computers and even help provide comparisons with others for a better insight. This article has been written by Stella Jack. She is a tech writer and blogger. She also has an interest in reading and loves to write and also gives essay help to the students.